has already led to businesses postponing investment. Carney’s point is that saying these things don’t break the purdah rules as the committee reports regularly and what it says is public knowledge. Part of the deal when it was made independent by Gordon Brown two decades ago was that the Bank report regularly, regardless of whether this suited the needs of politicians. It would have been interference in the referendum debate if it did not report as usual. That also gives its words some authority precisely because of their independence. We should take note of the concern they are highlighting. Coming on top of previous strong warnings and concern about recession from Carney this should make the proponents of Brexit stop and think. If Jenkin had offered grounds to question the Bank’s interpretation we would be in a different place. Without those, the sense was of an admission that the Bank is right, and therefore being attact for daring to speak. Ignoring the Bank’s warnings is rash. Getting angry because it makes them feels as foolish as someone who reacts to a cancer diagnosis by getting angry with the doctor for giving bad news, rather than engaging with the treatment that might save their life. This feels as if Vote Leave is crying “project fear” whenever evidence is advanced which shows that Brexit would be harmful, rather than offering any grounds to doubt that evidence. 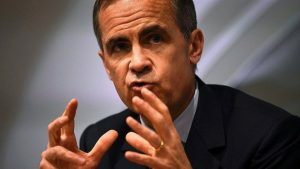 The Bank of England seems to be being scrupulously careful to act with the impartiality and objectivity that goes with the role of a central bank. We should heed its words.